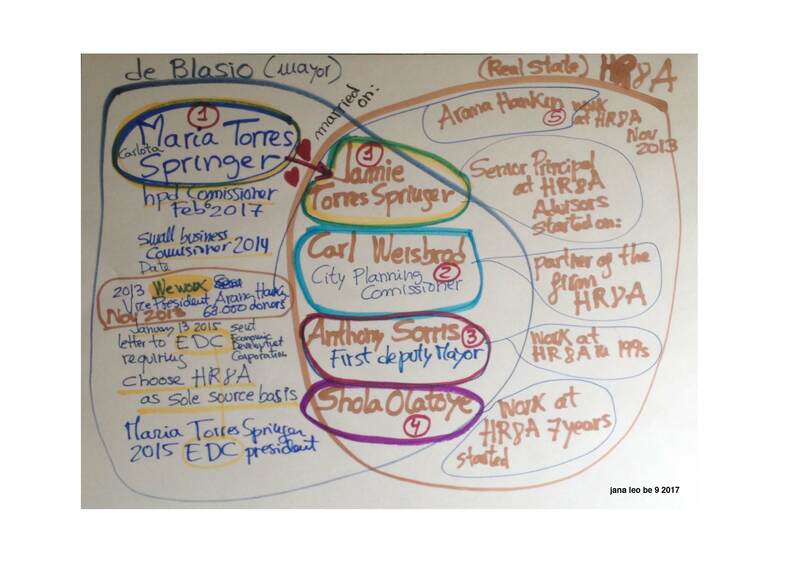 7- In the position of President of the New York City Housing Authority: Shola Olatoye, appointed in March of 2014. Olatoye worked for HR&A Advisors from 2001 to 2007. 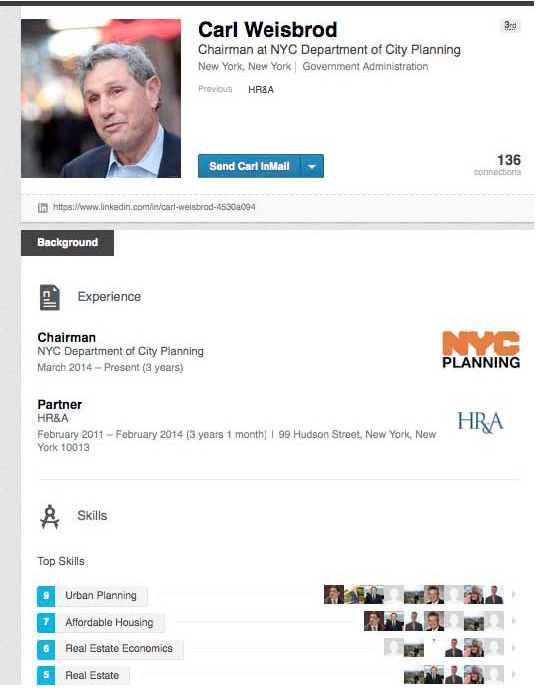 This tight relation between the firm HR&A Advisors and De Blasio administration is something well known. 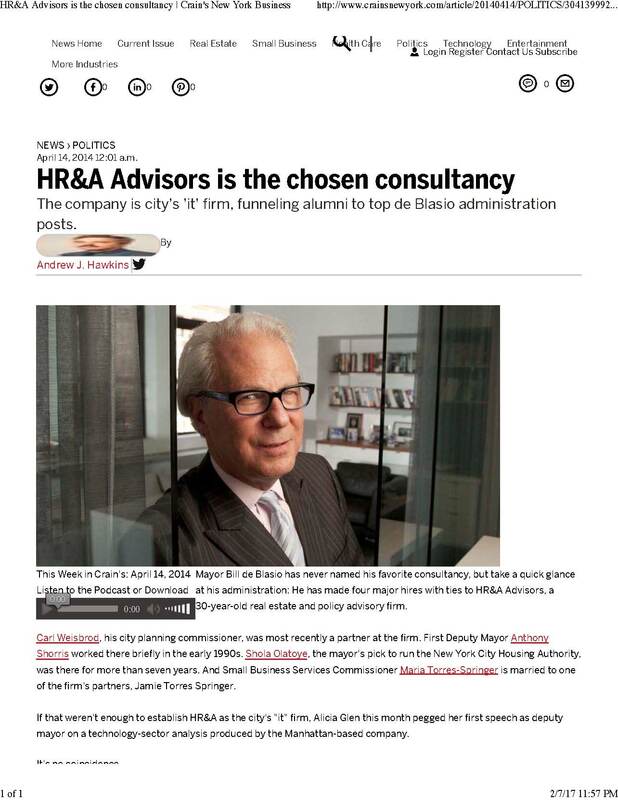 Andrew J. Hawkins write in Crain the article HR&A Advisors is the chosen consultancy . 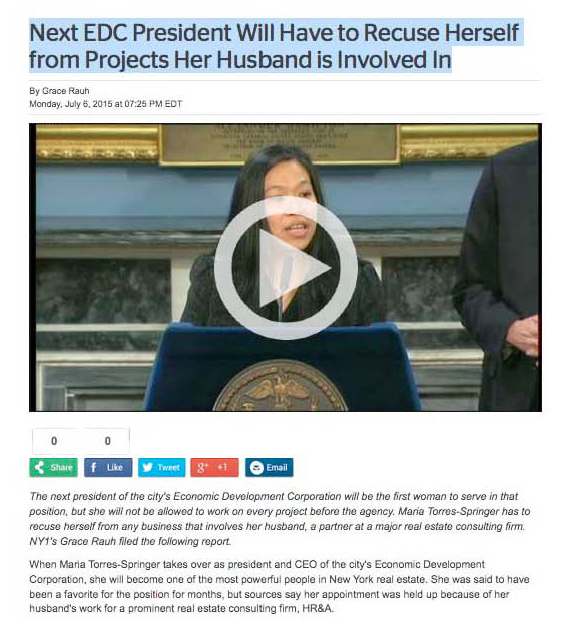 If what this article says is true, the criteria that Alicia Glen, Deputy Mayor for housing and economic development, used to choose the new Housing Preservation and Development HPD commissioner was that she is part of the family. Maria Torres Stringer was appointed by the Mayor Commissioner at NYC Department of Housing Preservation & Development (HPD) in 2017. 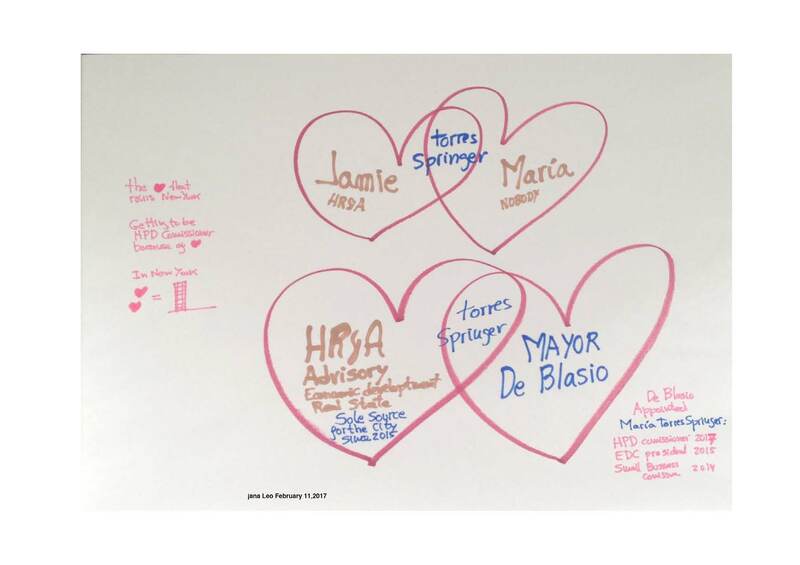 On 2015 Mayor de Blasio also appointed Maria Torres Stringer President at NYCEDC, and in 2014 de Blasio appointed her Commissioner of NYC Department of Small Business Services at City of New York Government. I found no records of important positions in housing and no important jobs not appointed by the Mayor. 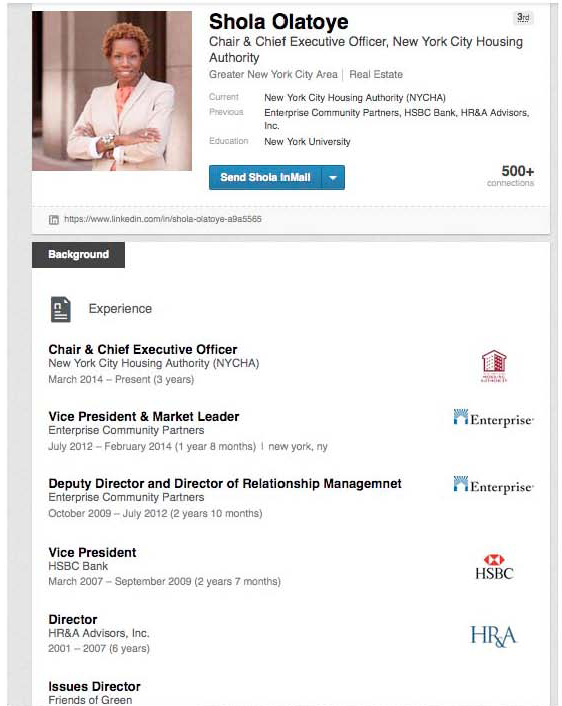 Looks like, her only previous job was a brief Former Chief Operating Officer (COO) at Friends of The High Line. Is “being part of the family” the right criteria to select government officials? 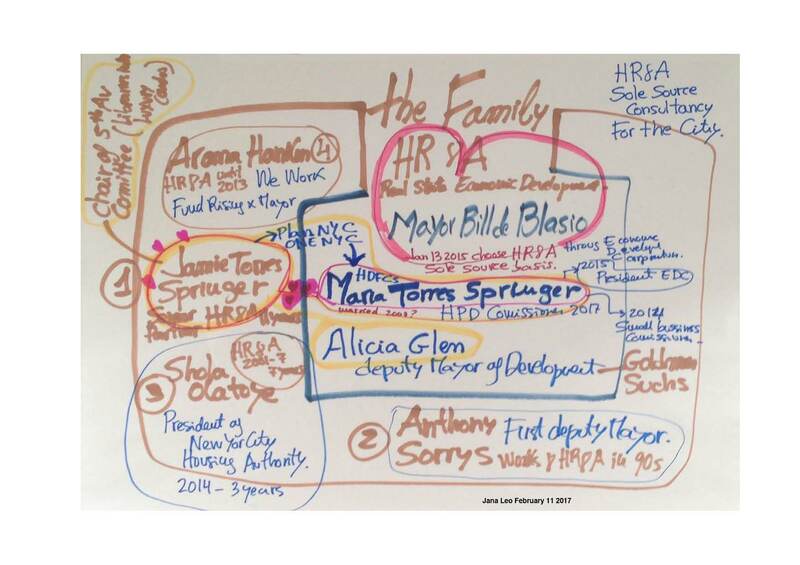 Is there a relationship between Alicia Glen and Jamie Torres Stringer or between Alicia Glen and HR&A Advisors? 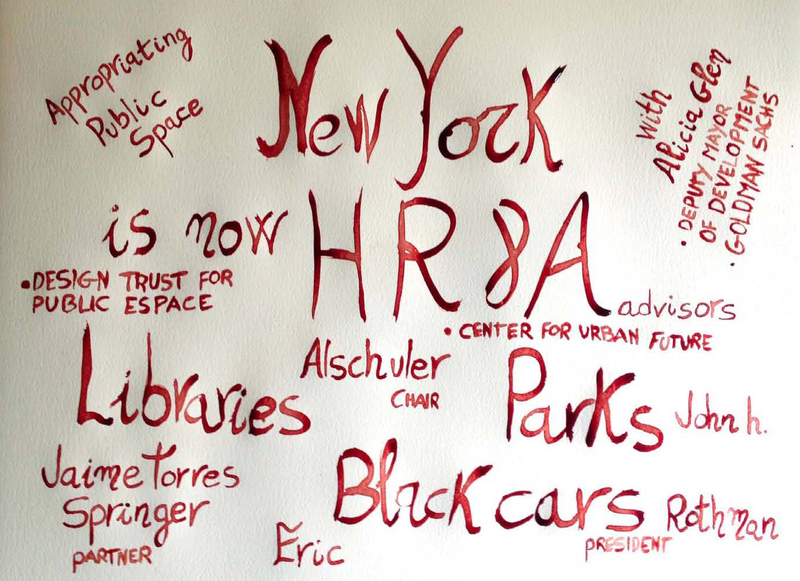 Is there any benefit for HR&A Advisors to have former employees or employees relatives in most important positions in urban, city planning and housing in the City of New York? 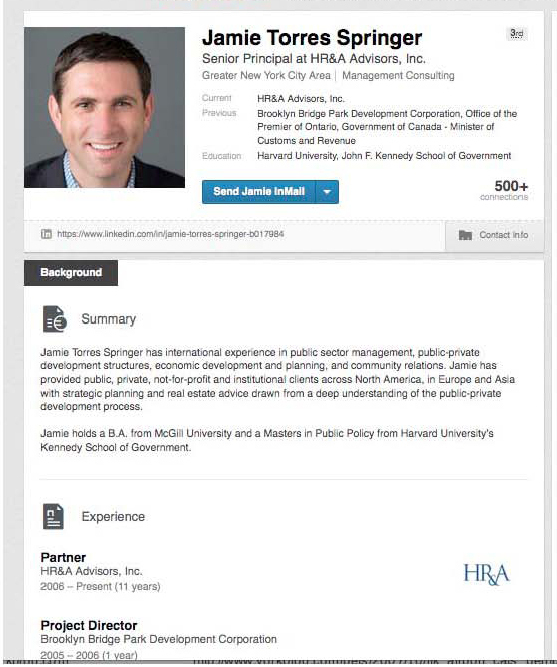 Why has the Mayor appointed a single firm as consultant for the whole city? How does this benefit the Mayor? How does it effect the City of New York to have a real estate firm holding so much behind-the-scenes power? How does it effect New York residents to have a real estate firm making decisions on housing, city, and urban development?